Making sweeping changes to our lifestyle is never easy, and when people try to implement too many healthy changes at once they can often find themselves right back where they started, but with an added sense of guilt. It’s been proven that making small changes to our daily routine is a far more effective approach, and often results in new healthy habits being formed. So are you ready to set yourself up for success? Get on board with Vuly's 10 easy swaps and take the challenge! If you’re used to strolling along on your gym’s treadmill at a constant pace, then it’s time to step it up and break a sweat! 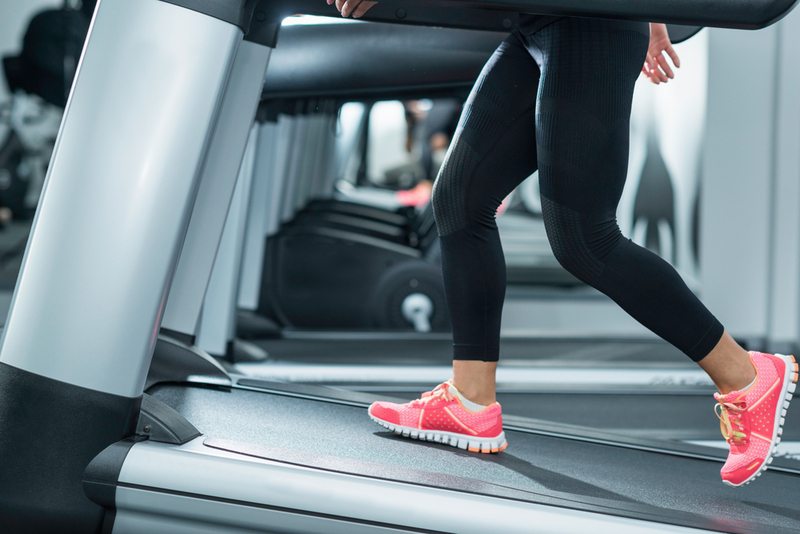 Setting the treadmill to incline means your body is working much harder to pump out those steps, resulting in stronger muscles, more calories burned and an all-round healthier option! Sitting for too long a period is linked with numerous health concerns (including a greater risk of a number of diseases) so if you work an office job and find yourself in front of a computer for hours on end, you should consider a standing desk, which is a much healthier option. Standing desks are linked to improved energy, reduced back pain plus weight loss, as you burn far more calories standing than sitting! Have you booked in yet another coffee catch up? Why not scrap the sitting and instead get active with friends! Meet a friend for a healthy walk along the beach, a rainforest hike or a frisbee session at your local park. It’s an oldie but a goodie… taking the stairs instead of the elevator at every opportunity can make a serious difference to the number of calories you burn throughout the day, and possibly your overall health. Work up to a short stair jog for a mini aerobic workout! Rather than cramming in lunch in front of the screen, take some time out for a quick stroll around the block. Fresh air and sunshine will work wonders for your mental and physical health. Large grocery stores often import fruit and veggies which have been sitting in refrigeration for weeks on end. 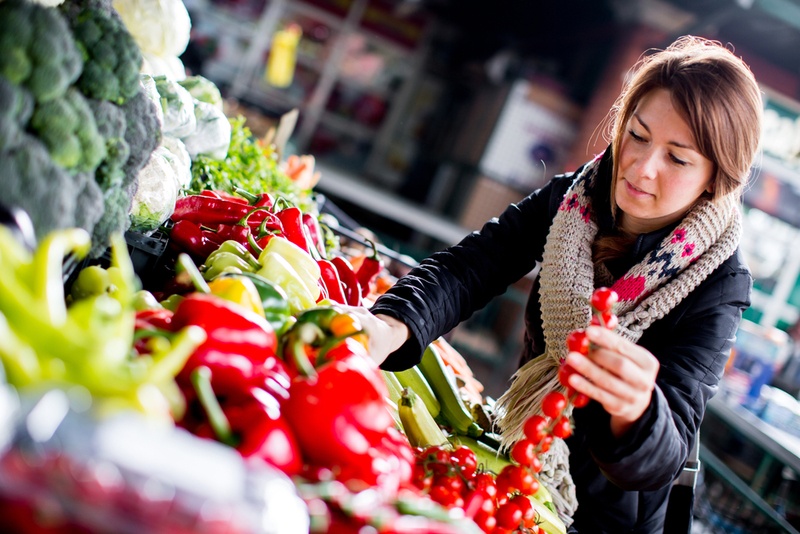 Make the switch to buying seasonal produce from local markets which not only tastes better but are packed with more nutrients, making them a healthier option. Do you find yourself adding multiple teaspoons of sugar to your tea or coffee? Swap the unhealthy sweet stuff for Stevia, a natural sweetener which tastes exactly like the real thing! You can use Stevia on breakfast cereal, in baking or wherever else you would usually use sugar. If you have struggled to cut soft drink from your diet, then try introducing naturally flavoured sparkling water. Being able to sip on something fizzy will help to ease those cravings, and adding fresh berries, lemons or limes will add a hit of flavour as well as added health benefits. Rather than plopping down on the couch in front of the TV when you get home from work, head outside of a quick and healthy five minute bounce on your Vuly trampoline. The light exercise will assist in clearing your mind and relaxing you after a big day. Take back control of what you eat during the day by packing your own lunch. Purchased lunches can hide a host of unhealthy ingredients and calories, so keep on top of your health goals by controlling exactly what you eat throughout the day. Let us know which of our healthy swaps you’ve incorporated into your daily routine!